Who will represent Ireland at Eurovision 2015? 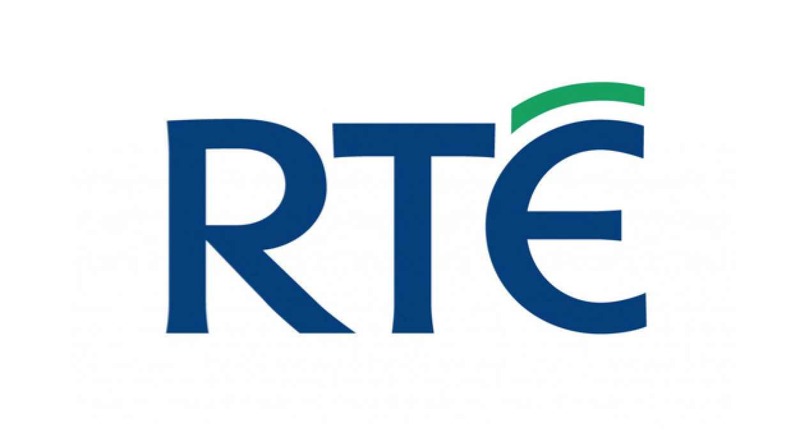 RTÉ (Irish National Broadcaster) has confirmed to Eurovision Ireland that their selection process is now complete. Over 300 entries were received by RTÉ and 2 separate panels of experts have now completed their task of selecting 5 finalists for the Irish National selection. Some media outlets had speculated that it would be six entries. This will not be the case according to RTE. All who submitted entries have been contacted by RTÉ and Head of Delegation Michael Kealy advised Eurovision Ireland that the 5 finalists are expected to be announced towards the end of next January. Mr Kealy said that the “standard of the songs received by RTÉ was of an exceptionally high standard this year” that made the decision of the jury members highly challenging. Make sure to stay tuned to Eurovision Ireland for more news on the Irish Eurovision selection for 2015. Are they the most prolific Music Publishing Company at Eurovision 2015? has a date been set for the official release of these songs to the ESC community? I’m looking forward to it as of course I’m a proud irishman who wants a great song to represent us so we can host next year but at the same time I’m dreading it because I’m always dreaming about us sending a top notch song that could score well and then we end up having mediocre songs in the NF and my dream ends up going flat…. Please god for the first time in a decade can we go to ESC in the knowledge that we have a decent shot at victory???????? Are there any songs that could do serious damage in Vienna? Will never ever write a song for this contest again until the people in charge give people what they want a proper contest….we submitted a song called bridge of peace #buildingbridges they did not have the courtesy to contact us…had to troll the net…we gave our contact details…will be watching very carefully and will wait to the timing is right to give proper critical analysis…. Did you contact RTE Seamus about not receiving a response? Don’t forget Seamus, Michael Kealy could be right in saying the standard of songs was of an exceptional calibre and with the open selection this year, the standard is going to be a lot higher than when we had the 5 mentor system. The songs in that selection process were a very bad reflection on the Irish music scene. Which is kinda sad because the music scene is depleting here in Ireland because of the lack of effort put into Eurosong. As it is modeled around Eurovision. Unlike the UK, where young artists don’t know anything about it. It was just like putting a soiled nappy in the middle of a dinner table at a house party. But now, RTE has a real shot to re boost the music scene because of their renewed attitude to Eurosong and because a lot of big named singers and songwriters have submitted songs into Eurosong. So Seamus, you are up against songwriters that have written songs for some of the biggest names in the world right now. Such as Machopsycho. They have an edge over amateur songwriters like yourself. That’s the unfortunate reality. As for the national selection process, even if it is on the Late Late Show, that doesn’t mean that we are out of the running straight away. It is the quality of the songs, singers and packages in it that matters. But to be honest, I wouldn’t be surprised to see Eurosong on it’s own show. Where did you go to see that you did not make the final selection. I heard nothing back, just would have been nice to have been told with everyone else. I understand they have more entries than they ever had. As you know until you are told you are out of the contest you are always hoping for good news. Best of luck to who ever does get through. 1. RYAN DOLAN- Ryan Dolan has obviously not let last place in 2013 bring him down. If anything, it has made him a better artist and to some extent, a national and continental star. This time Ryan Dolan has songwriters who have written monster worldwide hits for artists like Ariana Grande and Taylor Swift. Plus, Ryan has the talent, style, assessibility and radio-friendliness to go onto top 10 in Eurovision. So, is this a recipe for success in Vienna? Could very well be. 2. LIIR- Liir (compised of Leanne Moore, Michelle McGrath and Kim Hayden) is a new girlband hoping for Euro-glory. Between them, they have a number of no.1 hits in the charts as soloists. Another advantage is that they have Alan Earls as their songwriter. He is a man that brought Johnny Logan to the top 3 in the charts after 26 years. Imagine what he could do with Liir’s song for Vienna. 3. COCO DE AINE- Probably the act I’m most excited about in Eurosong 2015. Her rendition of ”Nobody’s perfect” by Jesse J in her BEDROOM is better than Kasey Smith singing ”Heartbeat” in the 2nd semi final. Plus, her songwriting team is Machopsycho. They wrote Margaret Berger’s ”I feed you my love” for Norway. That became one of the hot favourites to win Eurovision 2013. It eventually came 4th. Also, if her promotional poster is anything to go by, she looks like a superstar. I think that if you have her singing a really good, strong, quality contemporary pop song with quality presentation in Vienna, the contest could relocate from the Wiener Stadthalle in Vienna to the 3Arena in Dublin for 2016. 4. KRYSTAL MILLS- Fun, lively, dynamic and catchy are 4 words I would take out of vocabulary to describe ”Hometown”. I can see some very good staging potential with this song and that will be a big factor in inflicting on people’s minds. As we saw with Emmelie de Forest and only teardrops. 5. NIKKI KAVANAGH- Nikki Kavanagh had a very good song in Eurosong 2011. The only letdown to ”Falling” was the staging aspect. Much like Can Linn, it had top 10 potential. But the dancers overshadowed Nikki’s performance. She can sing live on an acoustically dodgy stage. So, if Eurosong 2015 is on its own show, vocally, she could shine bright on a proper stage. That, along with a really good song and presentation that resonates with the viewers and the juries around Europe, I think that she could do very well for Ireland. So, is this a promising top 5 for Ireland? I think so. If this is the fantastic 5 in Eurosong 2015, I will be very excited. If I am honest, I think Coco de Aine will make it to Vienna and if she has a really good song with fantastic presentation, Ireland has a very good chance of bringing the Eurovision Song Contest to Dublin for 2016. But Ryan Dolan, LIIR or even Krystal or Nikki could do very well for Ireland as well. IF THE 5 ARTISTS I MENTIONED ARE THE BIG 5. GET EXCITED (Just don’t get your hopes up too high.). Tell mister Kealy he says that evry year. I do hope we have some genuinely independant non ESC people selecting this year as we appear to be stuck in a rut with samey samey trash offered as TV 5 selections eash year. Remember 2016 is very big year for Ireland what with 1916 anniversary ..so twould be good to be hosting eurovision in Ireland that year .. fingers crossed. I’m excited for Eurosong 2015. The standard is very high according to RTE. If anything I said is to go by, Eurosong this year will be a lot stronger than last year. I can’t see any typical ”Eurovision songs” or songs that try too hard, both in terms of staging or songs. Nor can I see any ”copy and paste” songs in Eurosong 2015. Which was one of the big issues with ”Heartbeat” last year. But of these 5, I think LIIR and Coco de Aine will be a hugely powerful addition to Eurovision 2015 and could go on to win for Ireland. Although Ryan Dolan could do very well even though he came last. Nikki and Krystal could also do well as well if they get to Vienna. Eventually, Ireland is back. Greaaaaat! Really hope Coco De Aine is upon those final 5. She’s fantastic.